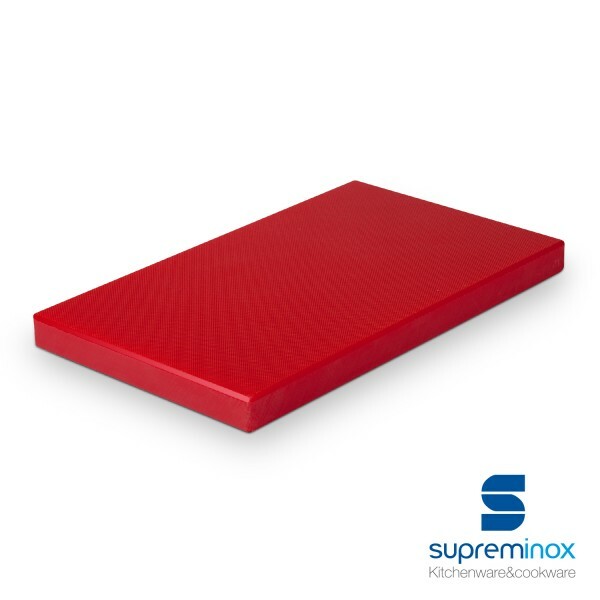 Made of high density polyethylene (HDPE), these red professional chopping boards are practical and very easy to clean, ideal to cut raw meat. Made of safe and non-toxic material in compliance with the food safety and standards regulations. Find it on Supreminox.com. Our chopping boards are made of high density polyethylene and meet the high quality standards required in the professional hospitality industry. Thanks to the wide range of sizes and dimensions, our 2 cm thick HDPE chopping boards ensure an excellent cooking experience. Made from high-quality material these cutting boards prevent from germs, grease and odours settling and guarantee easy cleaning and long durability. Suitable for commercial dishwashers. 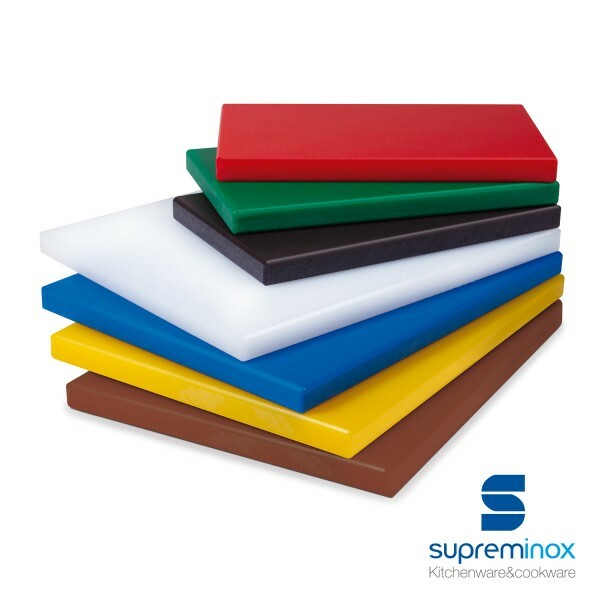 We offer a wide variety of high density polyethylene chopping boards in different sizes and colours. Each colour represents a different kind of food it is designed for, from fruits and vegetables to fish, raw and cooked meats. This red chopping board is ideal to cut raw meat. Available in various dimensions - 60 x 40 x 2 cm., G/N 1/1 53 x 32,5 x 2 cm., G/N 1/2 32,5 x 26 x 2 cm. y G/N 1/4 26,5 x 16,2 x 2 cm. Complete your professional knives selection with our HDPE cutting board set. Choose the one that best meets your requirements. Variety of sizes and colours. Order online here.